Tomorrow morning at 5 a.m. we're off north to catch some sun and surf and social life before the Byron Bay Writers Festival, which starts Thursday night. I probably won't blog again until Tuesday 9 August. Have fun while I'm away. July was supposed to be short story month. After delivering the 1st draft of the novel to its readers, I was supposed to launch into Red Spikes and have a good rewrite of all 10 stories. Didn't even come close. It turned into a bitsy month. School holidays for the first two weeks may have had something to do with it - back to getting up at 6 to beat the interruptions, giving up mid-morning. A couple of days I worked at the library, but there was no consistent pattern of hours worked. I did draft 3 new stories. One of them is wrong, wrong, wrong, but I've started on a better version of it (tightish deadline hanging overhead). One of them is OK and needs no more than a couple of rounds of revision (fortunately, that's the one with the tightest deadline). One of them is OK but may actually be 3 stories crammed into one. No work done on Red Spikes stories at all. I've carried the folder around a lot, and it looks very battered, almost as if I have been working on it, but no. No progress there. Next spell working on it will be October-November. The first week of October will also be school holidays. Sometimes writing is easy. Sometimes just getting the time to write is like trying to fight your way out of a large wet zipped-up canvas tent that's collapsed on top of you. 2 lots of comments are back from readers, with publisher's comments to come by close of business tomorrow. I will let these compost while I'm orf at Byron (starting Sunday), then start rewriting on the following Tuesday (9 August). It's 9 years since I published a full-length novel. I've tried writing a giant fantasy novel and a YA fantasy series since then - that's three-and-a-half books, all of which have fallen to pieces in my hands. They're not entirely in the waste-paper category, but they need so much re-thinking it's not funny. You could say I've become a bit toey about novels. Little Peach is the first one in a while that has stayed steady in my head as I've worked on it, that doesn't feel as if it's going to collapse if someone asks it a question. And now I've got lots of questions, and lots of suggestions, and I can see the way ahead quite clearly and comfortably. Odd. Good! Couldn't help noticing, during the Tour de France, how many good writer's-rooms they have in France. Most of them in towers, some at the corners of chateaux and some just perched on the top of forested hills all by themselves (a decent fit-making bike ride from the village below, for the writer to tackle every morning before work and coast down in the evening full of satisfaction). Even, in the grounds of one chateau, a very nice whole writer's cottage, like the one Eleanor Dark used to work in at Varuna, only, of course, much Frencher. It feels very wrong at around 6pm not to have Phil Ligget and Paul Sherwen rabbiting on (even if they do say 'at the end of the day' and 'the heads of state of cycling' and 'on a number of occasions' and 'he's digging deep now!' a bit too often) and all those sweeping views from the helicopter and those hair-raising shots from the motorcycles. Yes, I know 'Global Village' is back, but it's not the sa-ame. Maybe if I outfit myself entirely in LeakyGas gear, it will cure the withdrawal symptoms...yes, I think so. My blogging habits are to start with Jonathan's blog, then amble on to Gwenda Bond's and Justine's and radiate out from there using their lists. I suggest you do the same. Just in case you forget, I'll put those three links up here. But I'm leaving it at that, or the linking will never end. You know, sometimes you make 'em and they don't work, other times you make 'em and they work, but you just keep truckin' along. 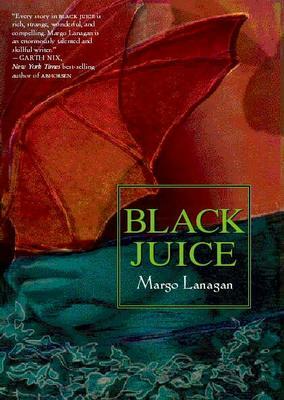 This is a group discussion for the literary programme team's favourite book of the year: Margo Lanagan's fantastical short story collection Black Juice. In this compelling and confronting collection of ten short stories, Margo Lanagan solicits the reader to explore the black juice in all of us. Black juice - not so much a dark side as a non-conformist streak - can place teenagers in unexpected situations that can be difficult for them to manage. These exceptional stories are profound, moving, powerful, intense and often unsettling. Many have a complex and demanding structure which challenges the reader. 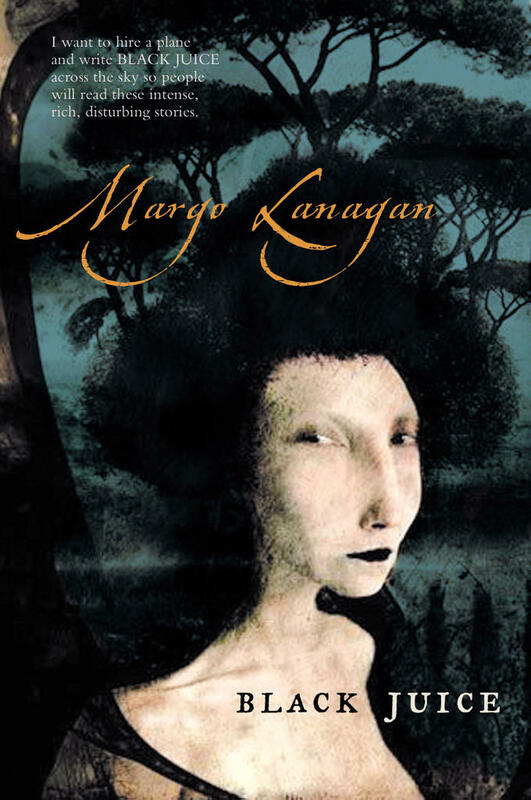 Lanagan uses beautiful, lyrical language, rich with sensory evocations and descriptions to tell strange and disturbing tales. These stories will linger with the thoughtful reader. Comparing this entry with those of the other shortlistees, I'm thinking it's pretty unlikely I'll get the Book of the Year gong this year. It's precisely Rowling's lack of sentimentality, her earthy, salty realness, her refusal to buy into the basic clichés of fantasy, that make her such a great fantasy writer. The genre tends to be deeply conservative--politically, culturally, psychologically. It looks backward to an idealized, romanticized, pseudofeudal world, where knights and ladies morris-dance to Greensleeves. Good writing is the only point of comparison that ever means anything. And yeah, adult writing at that - because even the most polished and clever children's book is ultimately a work deliberately devoid of texture, and that's what pumps my reading nads. Oh, of course, looking after the nads is always uppermost in a reader's mind. And since when is 'polished and clever' the definition of good writing? I thought I'd put up a couple of dud reviews of Black Juice in case anyone's having trouble finding them :) , also because it will give me just enough practice making links. Linking to all the good ones? Too exhausting. This one is just lukewarm. I think she was coming down with the flu or something. This one, I think there are language difficulties, or at least dictionary-consulting difficulties. Storytelling difficulties, never! To see a swag of good ones (oh, all right, you may as well buy a copy while you're there), go to the Amazon page. This is the first Australian YA edition, published by Allen & Unwin in March 2005. 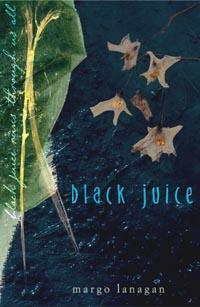 Cover images and design by Sandra Nobes. Sandra won an Australian Publishers Association Book Design Award (Hardie Grant Egmont Best Designed Children's Book Cover) for this cover. On the right is the adult edition (no difference inside), published December 2004 by Allen & Unwin in Australia. The cover design is by Kate Mitchell Design. The US hardback edition, published March 2005 by HarperCollins / Eos. The jacket art is by Amy Ryan, and the jacket design by R. Hult. 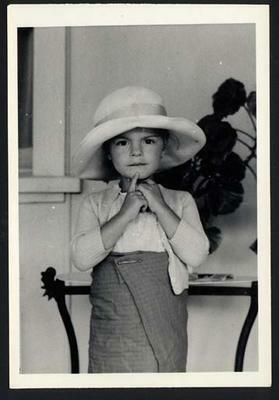 Here I am, all dressed up and nowhere to go, at Grandma-and-Grandpa-in-Warialda's house, in about 1964. Short Story: is it a sample of bigger things or is it a real alternative? So you remember something, then tell lies about it! Is that what fiction is?